Fall is officially here, which means pumpkin every thing. 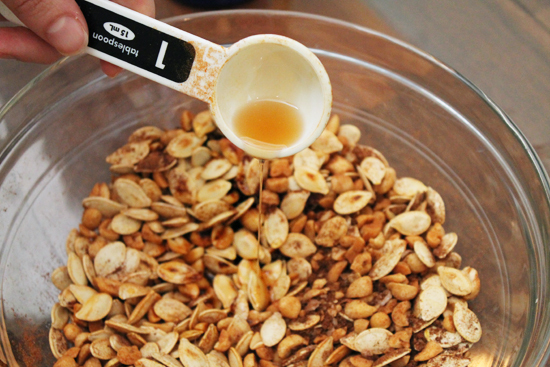 With all of the recipes out there to make with the flesh of a pumpkin, we are gathering all of the seeds to create something extra special. 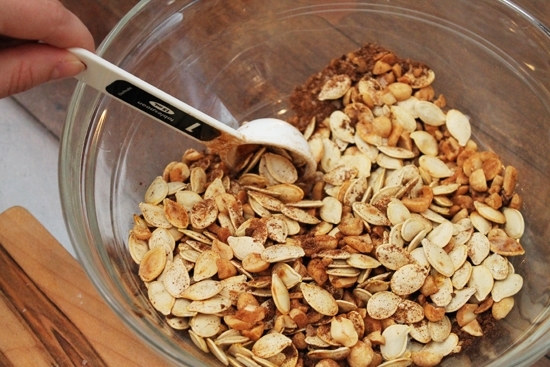 This involves roasting pumpkin seeds to perfection and adding a bunch of delectable spices to create my Chocolate Clumpkins. 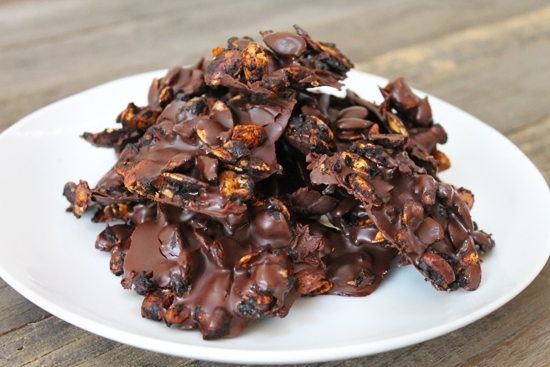 These bad boys are very addictive, which makes them the perfect afternoon snack. 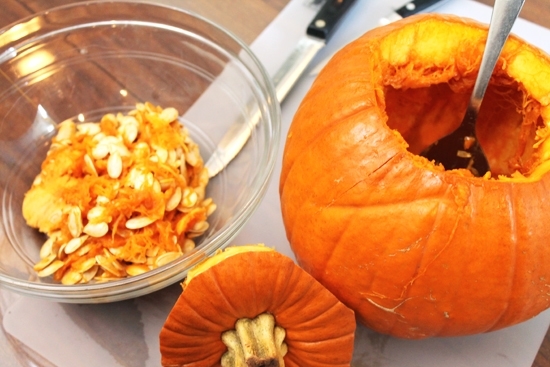 Start by cutting into your pumpkin and fishing out a cup of seeds. 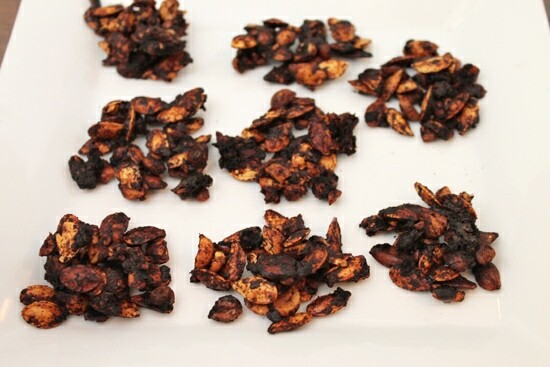 After you’ve rinsed and dried them with a paper towel, roast the seeds in a 325 degree oven for 15 minutes. 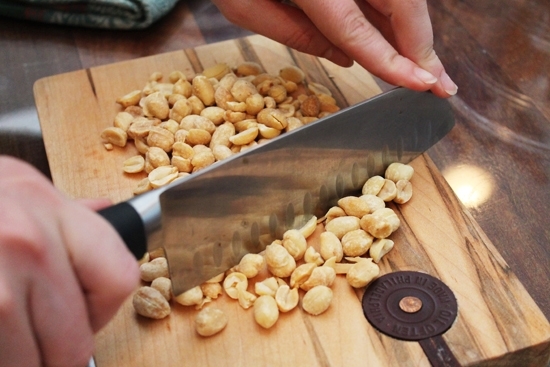 While the seeds are roasting, go ahead and chop the peanuts. 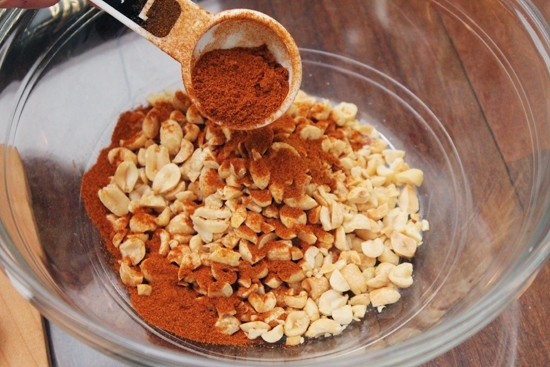 In a large bowl, add the chopped peanuts and paprika. Now that’s a pop of color! 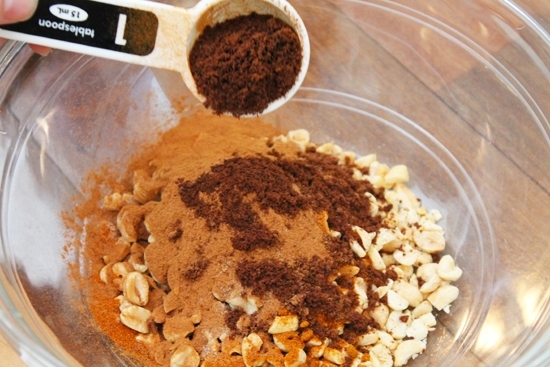 And the ever-so-wonderful cinnamon and coffee grounds. This is where it starts to smell very luscious my friends. To top it off, add the Maldon salt flakes, these will give it that balance against the sweetness of the chocolate. 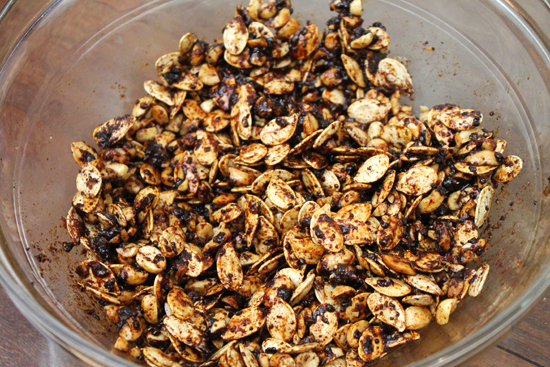 Once your pumpkin seeds are all nice and toasty, combine them with the spice mixture. 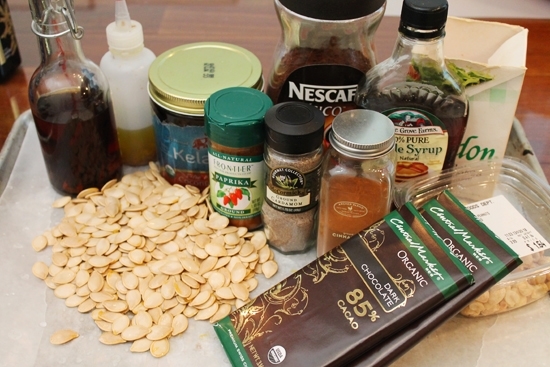 Stir all of these ingredients together. In the same bowl, include the vanilla and maple syrup. Add both the habanero oil and coconut oil. Stir once more until all the seeds are evenly coated. 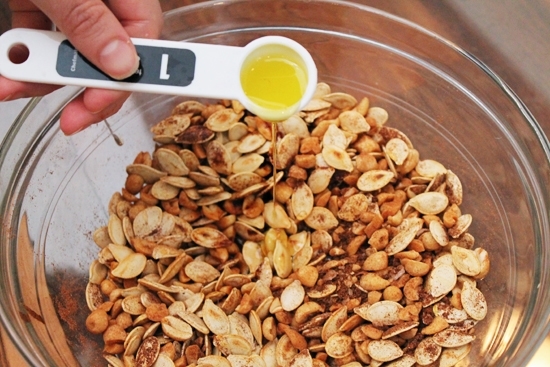 Closely arrange the pumpkin seeds on a baking sheet covered in parchment. 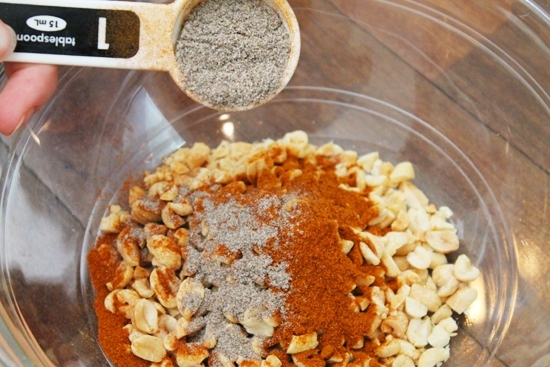 Make sure to prepare the dish with grease or Pam to prevent seeds from sticking. Bake in an 325 degree oven for 30 minutes. 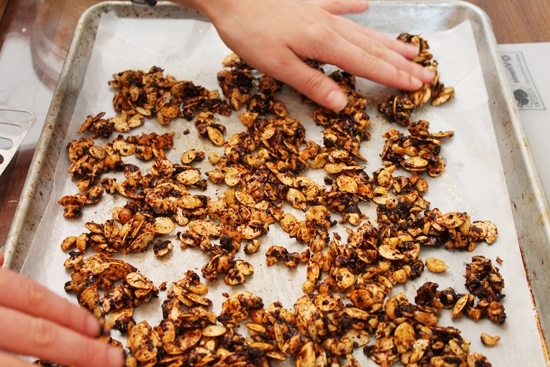 After baking, assemble the seeds into clumps. 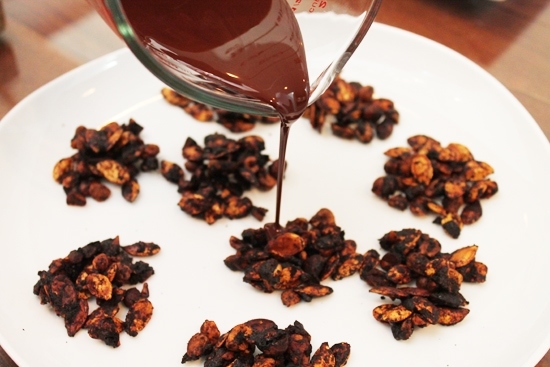 While your “Clumpkins” are cooling, microwave the chocolate until smooth and creamy, about 90 seconds. Drizzle the melted chocolate over each Clumpkin. (This is my favorite part.) 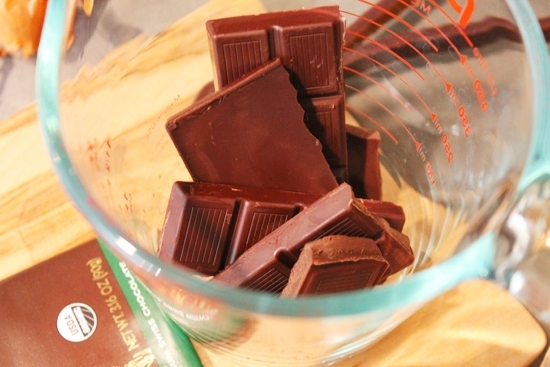 And then place them in the fridge for about 15-20 minutes until the chocolate has hardened. Now it’s time to enjoy! Salty, sweet and roasted to perfection, these Chocolate Clumpkins make the perfect afternoon snack and will be demolished before you know it. Just be careful not to devour them at night… they pack a bit of a caffeine punch! Be sure to store them in airtight containers in the fridge so the chocolate doesn’t melt on you. Enjoy my friends! Growing up on her family’s farm in upstate New York, Georgia developed a passion for simple farm-to table food and a deep connection to the outdoors. Having worked in the finance world after college, she decided to leave her cubicle and reconnect with her roots. After graduating from the French Culinary Institute, she began working in Michelin restaurants in New York and France, and soon started leading her renowned Adventure Getaways: excursions around the country aimed at promoting “manual literacy” and helping participants step outside of their comfort zone and experience life more viscerally. 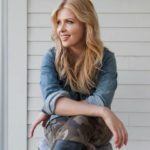 Georgia is a firm believer in empowering people to be self-sufficient, identify personal strengths and pursue their life passions.